Gov. 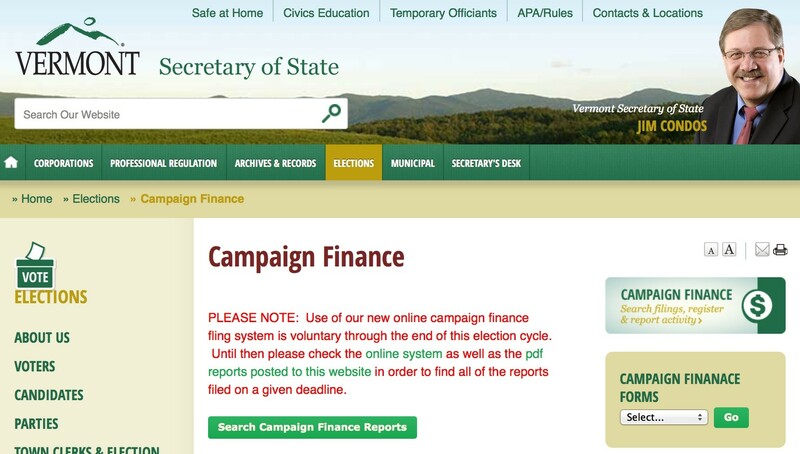 Peter Shumlin spent nearly a million dollars in his quest for a third term and outspent Republican Scott Milne 4-to1, according to new filings released Tuesday. But despite the tremendous cash advantage, the incumbent Democrat beat the political novice by just 2,434 votes. Since neither candidate reached the 50 percent threshold, the legislature will choose the next governor in January; Milne announced earlier Tuesday that he won't decide until next month whether to keep fighting. The latest filings with the secretary of state's office cover the last two days of the campaign and the 13 days since Election Day. They show that Shumlin spent nearly $63,000 in that period, compared with $30,000 by Milne. The governor's final expenses included a $37,000 payment to Klose Communications, the Washington, D.C., firm that produced his television ads, and $8,720 to Connecticut-based Mission Control, Inc., for direct mail. Milne's included a $6,340 check to Wyoming-based That Was Close, LLC, for a telephone town hall meeting he conducted the night before the election. Throughout the two-year election cycle, Shumlin spent nearly $953,000. That's nearly three times the $329,000 he spent two years ago when he faced off against then-senator Randy Brock. And it's nearly four times the $241,000 Milne spent this time around. At that rate, Shumlin spent roughly $10.65 for every vote he received. Milne spent about $2.77 per vote. Both candidates also raised a bit of money in the days before the election and since. Shumlin collected nearly $20,000 in that period, including contributions from tobacco company Altria Client Services ($2,000), Dish Network ($2,000), the International Brotherhood of Teamsters ($6,000), the International Union of Painters & Allied Trades ($3,000) and three LLCs associated with the Lodge at Shelburne Bay ($3,000). Milne's campaign took in $6,000 in that time, including another $5,000 loan from the candidate's own pocket. In total, Milne loaned his campaign $80,355. In the campaign for lieutenant governor, incumbent Republican Phil Scott spent a grand total of $238,000 during the race, including $4,672 in the last two weeks. Progressive/Democrat Dean Corren, who qualified to spend up to $200,000 in public funds, spent $189,000, including $1,301 in the final period. Scott defeated Corren 62 percent to 36 percent.